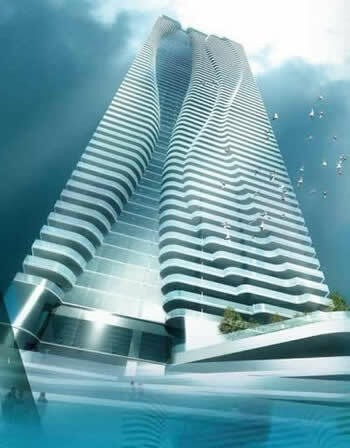 Toronto city councillors and the developers, Great Gulf Homes, were on hand Friday to break ground at One Bloor East. The $450 million project has been plagued with problems and still has about three years until it is complete. Still, one of the men responsible for the condo found reason to celebrate. The building will contain 732 units, 85 per cent of which are already old. There will also be 100,000 square feet of retail space at street level. The site for One Bloor is located on the south east corner of one of the most popular, and the probably the busiest, intersections in Toronto. It’s where the Bloor and Yonge subway lines intersect, and it’s also located in the highest price per square foot neighbourhood in Toronto (Yorkville). Once the tower is completed, Bloor Street will have an Iconic building connecting both Bloor Street East and Bloor Street West.